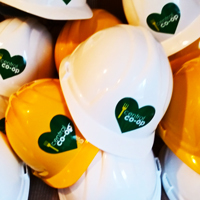 Members are invited to take part in our Annual Election and everyone is invited for a peek at our new store at our Pearl Street Voting Party and Hard Hat Tour. We're excited for you to see the progress we've made on the store and to meet the excellent candidates running for the four open seats on our Board of Trustees and Nominating Committee. We will also have information on the Tacoma store opening and staff from our Human Resources Department will be on hand to answer your questions about upcoming employment opportunities. Current members of the Board of Trustees and Nominating Committee will be also be available to to talk to you about the governance of the Co-op. Please join us and share the excitement!